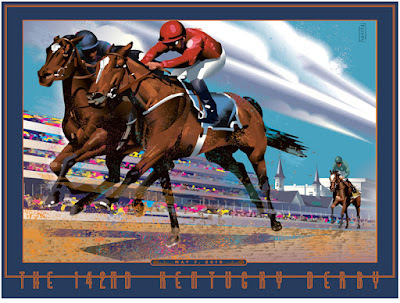 RICHARD SOLOMON ARTISTS REPRESENTATIVE: John Mattos - Official Artist of the 2016 Kentucky Derby! John Mattos - Official Artist of the 2016 Kentucky Derby! 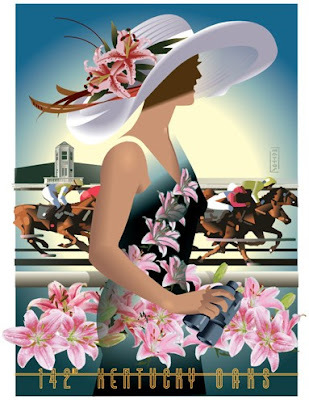 We are pleased to announce that our very own John Mattos is the Official Artist of the 2016 Kentucky Derby! The Kentucky Derby, held at the historic Churchill Downs, is the longest running sporting event in the United States, dating back to 1875. John has created these rich, colorfully rendered scenes for the race to highlight it's prestige and excitement. Printed on fine archival paper and hand numbered, only 100 of these prints will be made! It is a signature memento of the historic Run for the Roses at legendary Churchill Downs. This is such a prestigious title to have and we are very proud of John and these wonderful works!